Exclusive Tours are for individuals, couples, and families who want a day tour that can meet specific needs, time frames and interests. Potiki Adventures offer innovative high-end tours that are privately guided and always delivered from an indigenous Maori perspective. Exclusive Day Tours are available in Auckland and Waiheke Island. Visit to one of Auckland’s paramount pa sites (traditional Maori fortified village) situated on one of Auckland’s 48 volcanoes for spectacular views and an explanation of local history. Private tour through the Maori Gallery of the Auckland Museum including a full explanation of ancient taonga (artifacts) and a discussion on Maori design themes and traditional tattooing. There is also the option of attending the 30 minute Maori Cultural Performance. Lunch at Pah Homestead, an exquisite mansion situated on the side of an ancient pa site and an excellent example of colonial architecture. 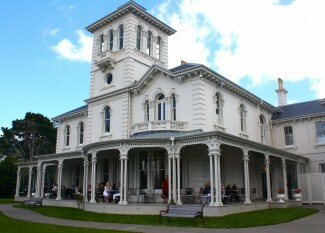 Pah Homestead is also home to the James Wallace Arts Collection and exhibitions by leading contemporary New Zealand artists. 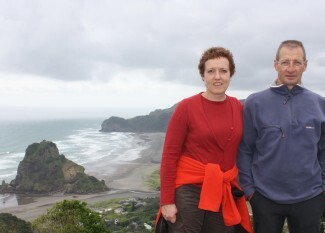 Visit to one of Auckland’s famous black sand west coast surf beaches. A short bush walk to a stunning waterfall situated amongst native rainforest. An explanation of traditional and medicinal uses of native plants by your knowledgeable Maori guide. A private tour of Waiheke Island vineyards with the option of tasting the best wine the island has to offer. Visit pristine white sand beaches. Lunch at Te Whau vineyard. The menu features a divine selection of food and wine with sea views to match. Scenic drive around the island coastline, taking time to stop at breathtaking view points for excellent photo opportunities. Privately guided kayaking around island bays and rock gardens. Mountain biking Waiheke Island is an option, supported by a 4WD vehicle capable of carrying mountain bikes if a break from the hills is needed. Visit the home of one of the islands resident Maori artists for a weaving and traditional musical instruments demonstration. Short native bush walk including native bird and plant identification. Families have the option of incorporating boogie boarding and snorkeling for the children (summer only). Please contact us for a Exclusive Tour of your own.